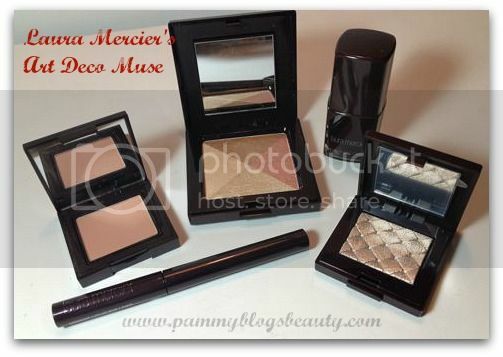 Get a gorgeous look this Holiday Season with Laura Mercier's new "Art Deco Muse" Collection. These luxe products are decadent and sophisticated. 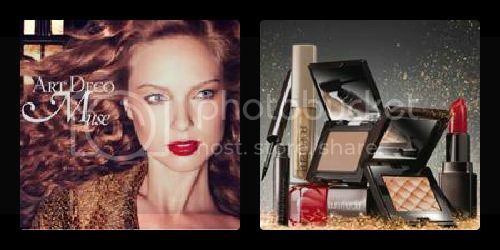 Laura Mercier was inspired by the style and mood of the Art Deco period of the 1920s in Paris. That time period was noted for decorative architecture and beautiful paintings. Laura was especially inspired by the work of the artist Tamara de Lempicka. To find out more about this collection and to see photos and swatches, please keep reading! 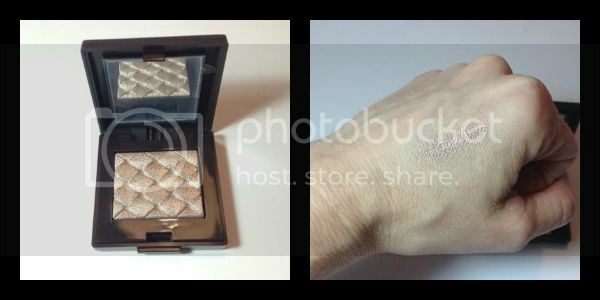 These shadows are packaged in a small square single pan compact with a lid. There is a mirror on the inside of the lid. The shadow itself is pressed with a quilted pattern. I tested out the shade Gilded Platinum. 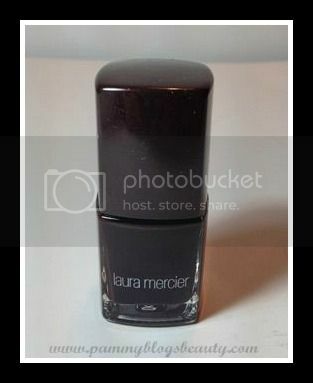 What a gorgeous metallic shade! To me, this shade seems more like a light gold than a platinum. The metallic finish is super shiny with a bit of sparkle as well. Quite festive! This is such an easy to wear shade. I like to just pop it on my lids to top of any eye look that I am doing. It is also beautiful worn on its own. Wow! This is such a vivid black! I am quite a fan of the bold liner look lately. I like wearing a wash of shimmery color (like the LM Gilded Platinum, see above) all over the lid and topping off with winged liner. This liner is very, very wet. So, it requires a steady hand and patience to apply. However, you are rewarded with such rich and deep color! This liner is incredibly long lasting. Also, it takes a bit longer than usual to remove. I love the long wear and the deep and rich black color. The applicator has a super fine and flexible felt tip. 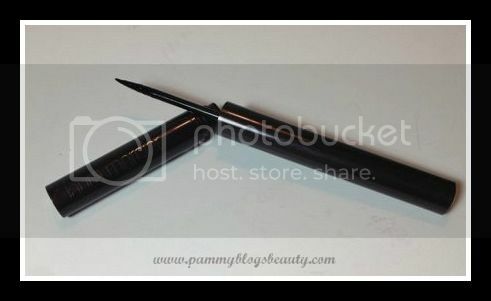 It is dipped into the product like a classic liquid liner (unlike the "pen" style liners that dry out quickly). I tested out Noir Glacé which is a super deep purplish burgundy that looks almost black when applied. Very rich color! 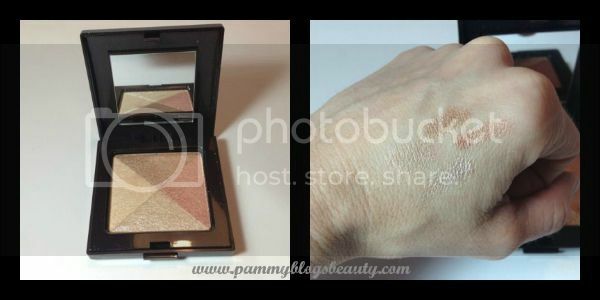 This blush is packaged in a single square pan compact with a mirror. This is my first time trying a Laura Mercier blush and I am so impressed (but not surprised). Wild Bouquet is a very neutral light brownish pink shade. The overall effect is very subtle. It looks incredibly natural on the skin! Now, if you have darker skin, this light shade might not show up on you. On my fair skin it is shows up pretty well and looks lovely! The blush itself is a bit on the "powdery" side. When I touch my blush brush to it, it pulls up a lot of powder. So, tap gently to the pan and tap off or blow off the excess (if needed). It is the perfect blush to pair with bold eye liner and bright lips. The finish is matte which is my preference for go-to blushes. This blush is one of my new favorites!!! There is no question that I will be reaching for this flattering blush continuously for quite some time. Shade: 6 Shades available: I tested out Mosaic ($38.00). Other shades available include Pink Tourmaline, Golden Mosaic, Starlet Mosaic, Peach Mosaic, and Pink Mosaic. I do not believe that Mosaic is actually part of the Art Deco collection. However, I still wanted to include it in this review as it is just lovely to wear for the Holidays! Have I mentioned how much I love highlighters? While I typically love both drugstore and high end makeup, I much prefer to go high end with my shimmer and highlighting products as the shimmer tends to be much more flattering in high end products like this Shimmer Bloc. This baked shimmering powder gives you lovely pearl-like shimmer with a hint of color and no sparkle. You can adjust your color with how you swipe the 4 shades in the pan. The shades vary from golden, taupe, rose, and champagne shimmer. While I primarily use this product as a highlighter on top of my cheek bones, it can also be used as an eye shadow, or used sparingly for an all-over glow. This lovely powder really perks up my skin and gives me a beautiful glow! You know, that type of glow that makes you look less tired and gets you those "your skin looks nice" compliments. Shimmer Bloc has become an everyday staple for me! What catches your eye in this collection? This collection is Limited Edition. So, be sure to check it out while it is still available! The liquid liner looks awesome!